The Frenchman to make his WSBK debut with the English team. Crescent Suzuki is delighted to announce its completed rider line-up for the 2015 FIM Superbike World Championship as world-renowned competitor and current Suzuki MotoGP™ test rider Randy de Puniet joins the UK-based team alongside Alex Lowes. 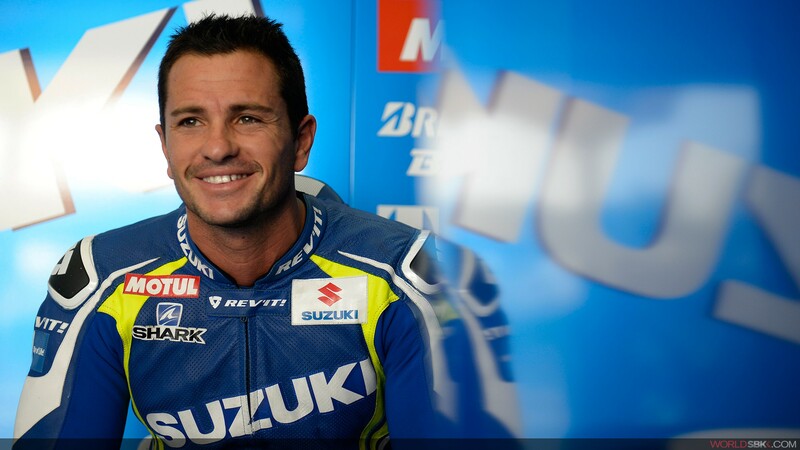 The 33-year-old Frenchman will enter the World Superbike series full-time with his new Crescent Suzuki squad for the 2015 season but will also continue to test the Suzuki GP machine, with particular responsibility for matching the bike’s performance to MotoGP’s new 2016 tyre provider. De Puniet is very motivated for competitive action aboard the World Superbike specification GSX-R1000, after his successful second-place result as part of the Yoshimura team in the 2014 Suzuka 8 hour endurance race. Paul Denning – Team Manager: “We couldn’t be happier to have secured Randy’s agreement to compete in the 2015 World Superbike Championship on board our GSX-R1000. We needed a high quality rider to replace Eugene; Randy was the obvious choice, and we are very proud to have gained his trust and commitment to race with us next year.